1. You need to register to be our member and login to your account before you purchase our product. 2. Search the exam you need, we offer both pdf and software version. 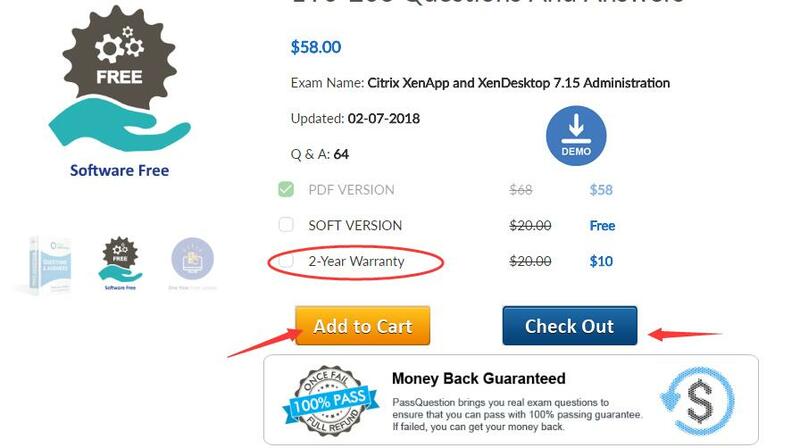 If you want to get 2-year Warranty (2 year free update, after 2 years, you need to pay $10 to get another 2-year free update), you can click it, and then you can click “Add to Cart” or “Checkout” directly. 3. 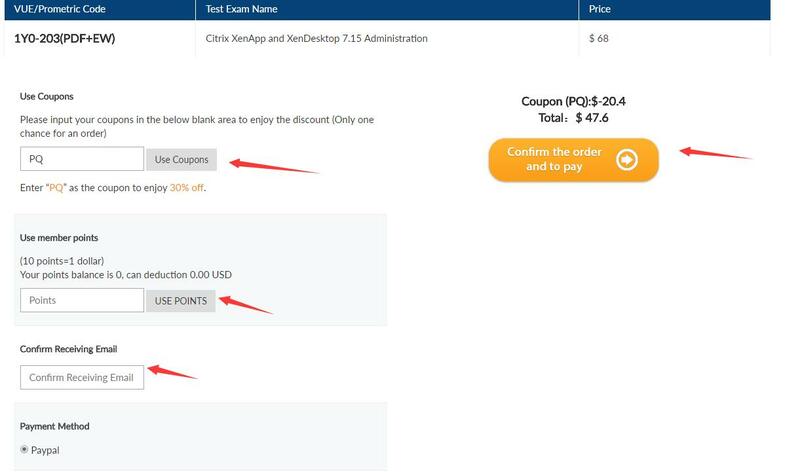 When you add your exam to cart, you will see the following page. 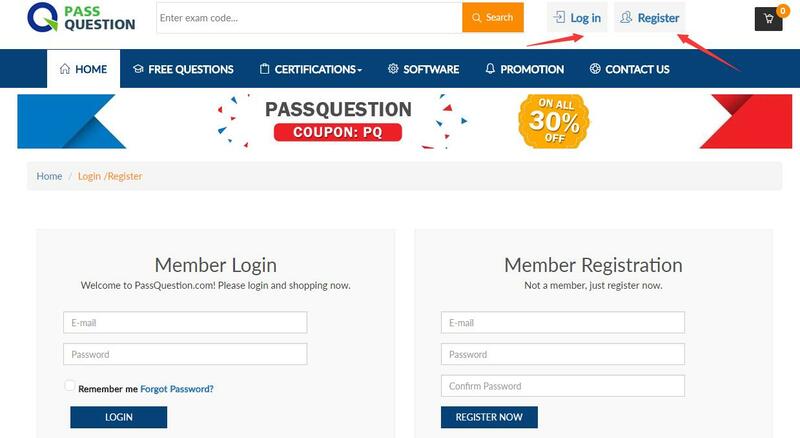 Confirm your exam and click “PROCEED TO CHECKOUT”. 4. In your checkout page, you can use coupon code and member points to save your cost. What’s more, please confirm your receiving Email address to ensure us send the product to you smoothly. Click “confirm the order and to pay” to finish your payment. 5. 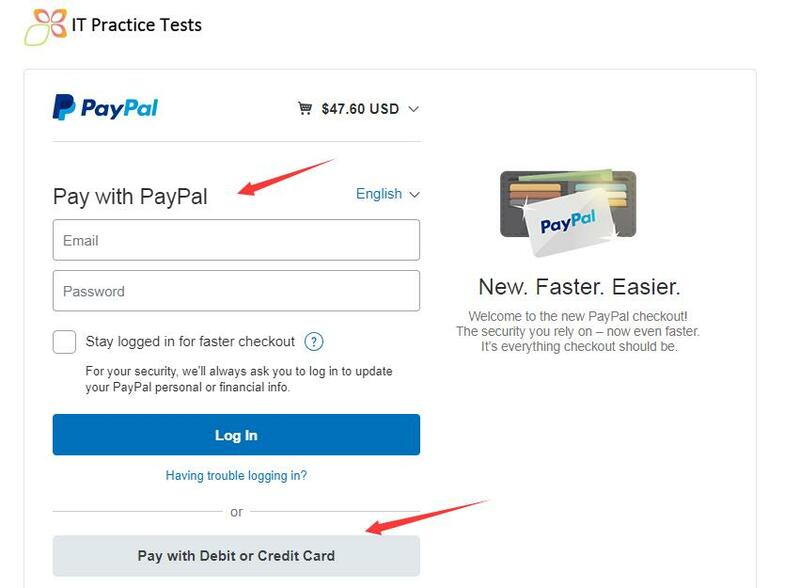 Checkout with PayPal, the page will jump to PayPal platform automatically, it is safe and easy. If your country don’t support PayPal, you can use Western Union payment method, please contact us [email protected] to get the account detail to pay. After you complete your payment, in our working time, we will send the exam to you via email in 10 minutes. In our non-working time, we will send the exam to you no later than 12 hours.